Recently I have been playing alot of Fallout 4, i liked how the gameplay allows you to really form your own unique play through, and you could experience the game in different ways. So i began to wonder how would the experience hold up in VR? 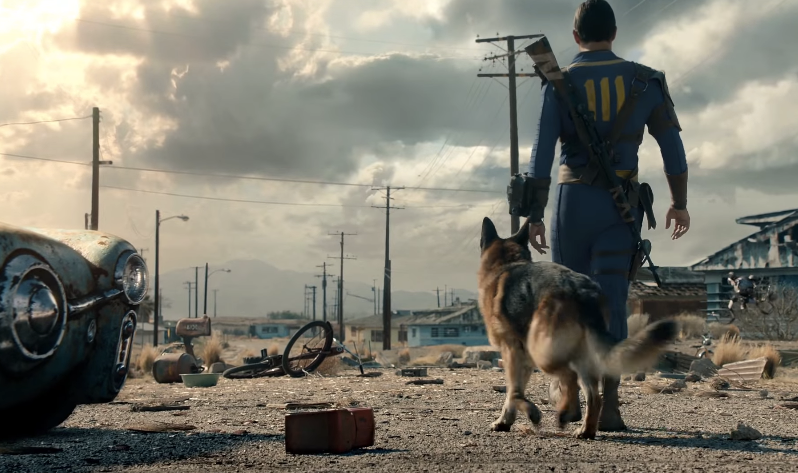 Bethesda is still working on the version of fallout 4 that will run in VR and there has already been a demo of the concept, already shown off. So we got an idea of how the game would play out in VR. The demo went as followed. You were placed at the red rocket truck stop and had a few items already at your disposal, a pistol, shotgun and rocket launcher. Your left hand was always the Pip-boy and your right was your equipped item, no pausing time this time when you used the Pip-boy, it’s all real time, no mention of VATS either. After awhile Raiders would show up, and after you defeat them, then that would be it. While it doesn’t give much, it shows how the gun play would be, but how would exploration be handled? In that demo the main mode of movement, was through the way most VR games have allowed, teleportation, unfortunately there hasn’t been much of a work around that doesn’t get people motion sick that doesn’t involve having to buy an omni directional treadmill and even then, those are still in development, so we’re kinda stuck. Teleportation helps avoid motion sickness, but it kind of defeats the purpose of how this kind of stuff is supposed to go, but i guess it’s kind of irrelevant when you put the headset on yourself. Personally i’d appreciate the options of how i would want to move, VR is a more personal experience, so having various options of how you want to move around, should be the step in the right direction, after all, games like Onward, have been able to figure out movement without it being too much, only problem is, it has to be slow, which, i don’t really have a problem with. It goes to show we still a ways to go before VR truly takes off, i just don’t think, that visual filters or motion substitutes is the way to go.